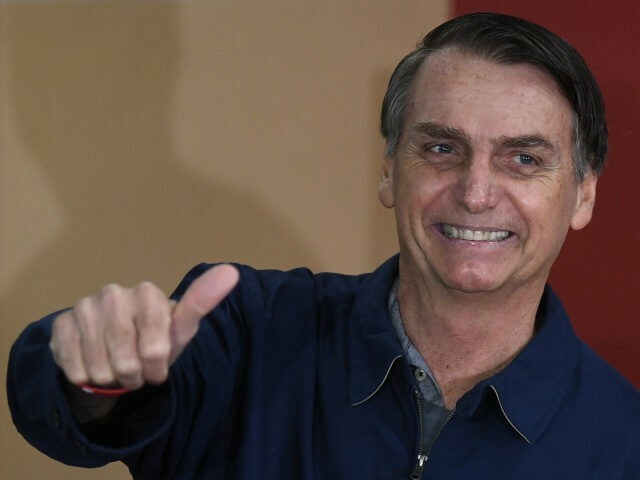 The Times of Israel reports: Brazil’s incoming president Jair Bolsonaro pushed back against critics and feted burgeoning ties with Israel Thursday, as Israeli Prime Minister Benjamin Netanyahu made his way to Brasilia for the new leader’s swearing in. Jair Bolsonaro said those who were protesting his drive to develop deeper ties with Israel had done nothing to help Latin America’s biggest country. “There is no reason to criticize dialogue, especially when the criticism comes from those who did nothing, only destroyed and stole from the country,” Bolsonaro said on Twitter. He said Brazil was interested in technological services that Israel is a world leader in, likely referring to agritech and cyber security. “We want the best for Brazil,” he wrote.